Over the past few years the gentleman’s barber has come back into fashion with many offering a variety of services including haircuts, styling, hot shaves, head massages, manicures and shoes shines. This growth in “spas for gentlemen” has meant that men everywhere can experience the luxury of a hot shave and whiskey cocktail before a big event or night out. With such a plethora of options we decided to choose six grooming salons, from across the country, who have proven to be some of the best in their areas. We’ve taken into account customer reviews, magazine articles, barber awards and even personal recommendations to come out with 6 of our favourites. With a multitude of reviews lauding their friendly staff, comfortable salon and relaxing atmosphere, Close Male has managed to create a name for itself in the North West as a top barbershop for male grooming. Their prices range from £4.50 for a beard trim to a full works treatment costing £79.50 that includes: traditional cut & finish, hair treatment, cut throat shave, face mask and an Indian head massage. They also have a “hangover cure” for £5 which has intrigued us to the point where we’re already planning a visit in the near future. With 4 salons located in Manchester they are well worth a visit and their prices make them a bargain for any gentleman’s budget. The official Creative Hair & Styling team behind Style Birmingham Live 2011 & 2012, Benjamin Ryan’s has a wealth of experience that has made them a clear expert in male grooming. With a vintage salon that harks back to the old barbershops of the 1940s, the ambience and decor has been praised as classically luxurious with a contemporary twist. A traditional cut-throat shave will cost you £20, making them not the cheapest on our list, but personal recommendations from friends and fellow enthusiasts say it’s worth every penny. You can also choose who styles you hair when you go in, whether it’s the the Senior Technician or one of the Managing Directors, Benjamin Matthews or Ryan Parsons. What can we say? Service with style. 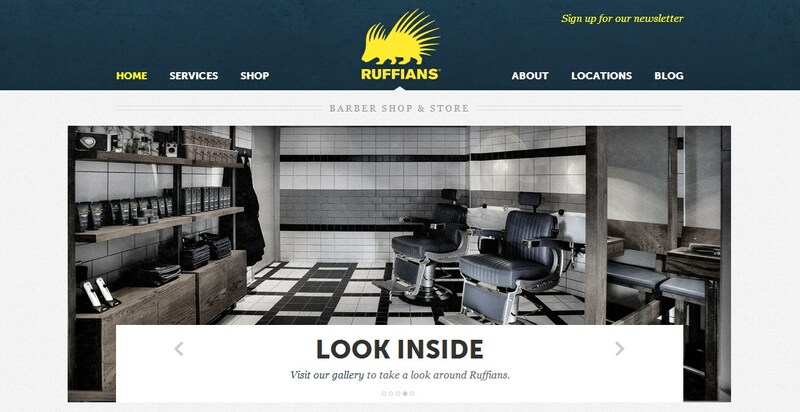 With awards like “Best Independent Newcomer” and “Best Designed Salon”, Ruffian Barbers were always going to be in our lists and we’ve heard a lot about them from our friends in Scotland. Luxurious, stylish, friendly and customer focused these guys are serious about their service and their art. You can enjoy a whisky during your appointment and take in their stunning salon whilst you are pampered and groomed to perfection. They even post tweets from their customers so you can see how much they are loved by those who visit. Prices start at £15.00 for a moustache trim and go up to £35.00 for a haircut and styling appointment, they also produce their own range of grooming products and offer gift certificates for male friends. Alan Jones has very little to say as the press and customer reviews so it all for them, their decor and atmosphere is described as “another world, a place where you can forget the stresses of every day life and relax with a beer!” No doubt we were already sold but their service is also reviewed as fantastic with many claiming Jones’s command of the straight razors is as masterfully close as it is delicate to the skin. With hot towel shaves starting from£21.00 and going up to £45.00 (depending on time spent and included extras) their service is great value for any gent looking for a relaxing way to sharpen up and enjoy some luxury. They also have a full men’s grooming shop to purchase products and shaving accessories. We love it. Established in 2006, Murdock have gone from strength-to-strength with 5 branches currently spread across London. We’ve had great first-hand experience with Murdock who have offered fantastic advice when it came to our first at-home straight razor shave, they also gave us a shave to remember and their product range is as stunning as their decor. 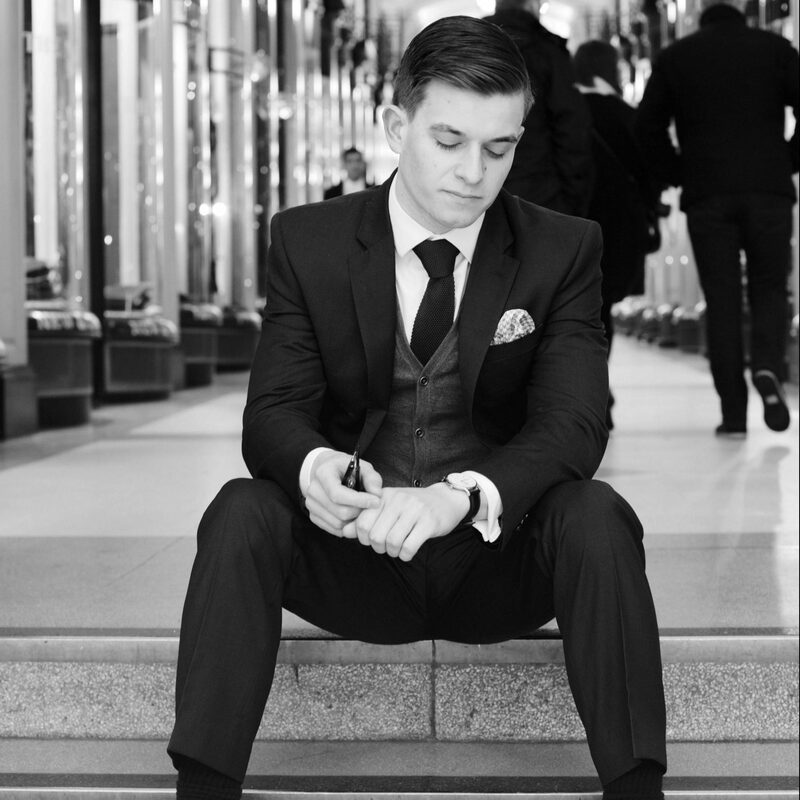 The Covent Garden Head Barber, Matt Hughes, was our barber and made us feel comfortable during the shave ensuring we were relaxed and happy every step of the way. Unsurprisingly for London they are the most expensive of the list, with a Luxury Full Service costing £120.00, however this includes a shampoo, haircut, luxury wet shave, signature facial, head massage and manicure or shoe shine. No doubt any gent purchasing that comes away feeling sharp and styled to perfection. Winner of “Britains’ Best Barbers”, the “Welsh Hair Haven” award and personal barber to Sherlock Holmes in the hit BBC drama “Sherlock” as well as most of the Welsh Rugby Union, this is a grooming salon that has a lot going for it. They are renowned for their outstanding quality of service, beautifully styled salon, friendly staff and loyal customers. Recommended by bloggers, friends and official publications it’s hard not to come across these guys when you’re searching for quality barbers. Offering everything from a standard wash & finish (£14.00), to a full manicure (£30.00) and a full works package (£87.00) they provide just about everything a gent needs to be groomed to perfection. We salute you gentlemen for leading the crusade for male style and grooming. So those are our 6 top male grooming salons and barbers around the UK. As usual if you’ve enjoyed the article feel free to like, comment and/or share it with your friends. If you happen to know of any barber shops worthy of recognition then feel free to comment below and we’ll make sure to check them out.